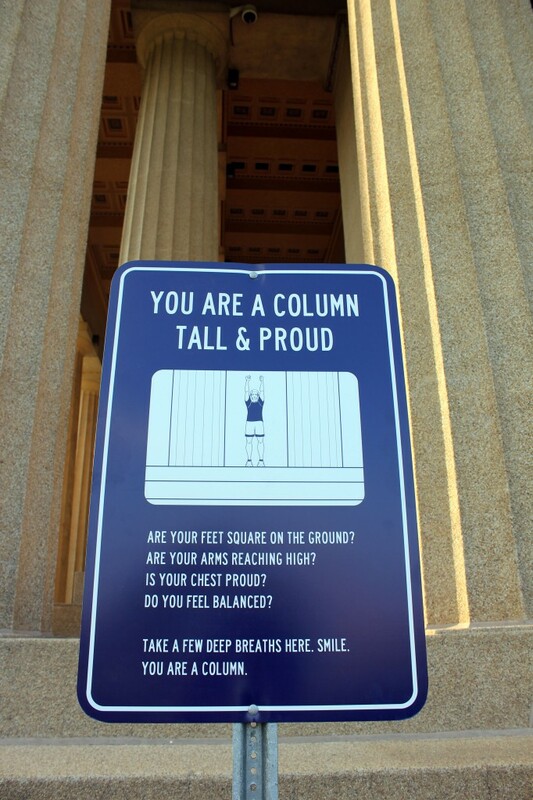 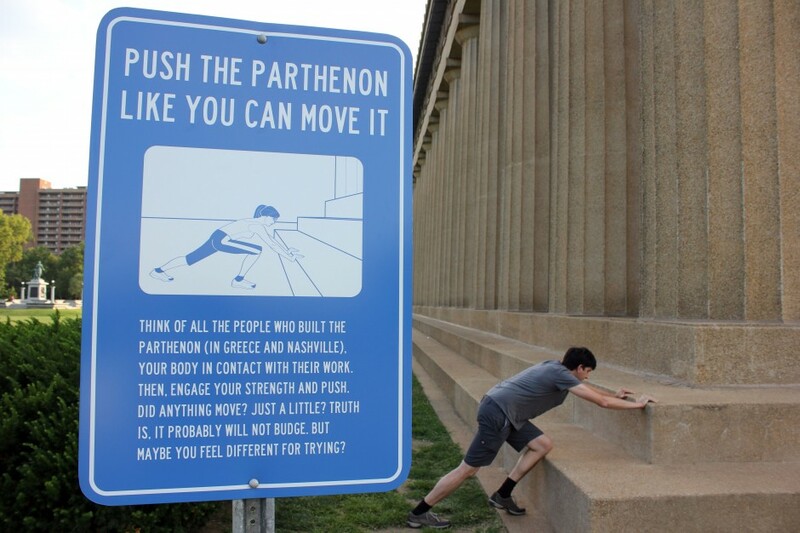 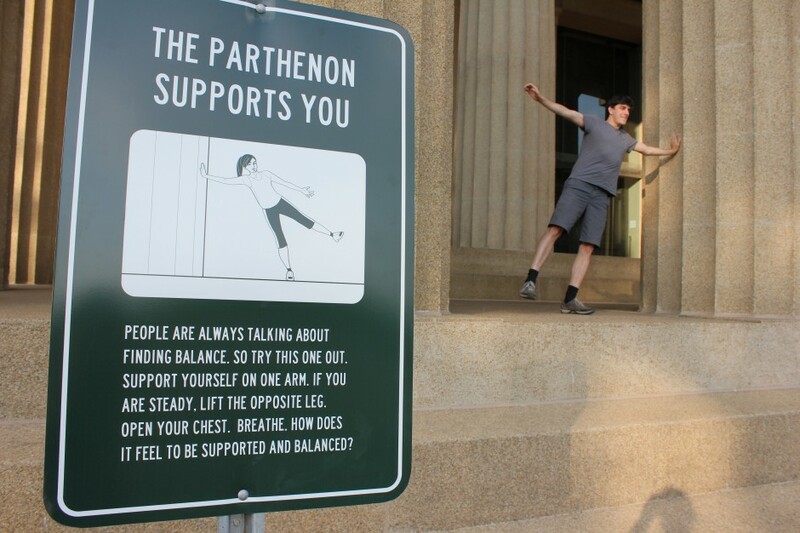 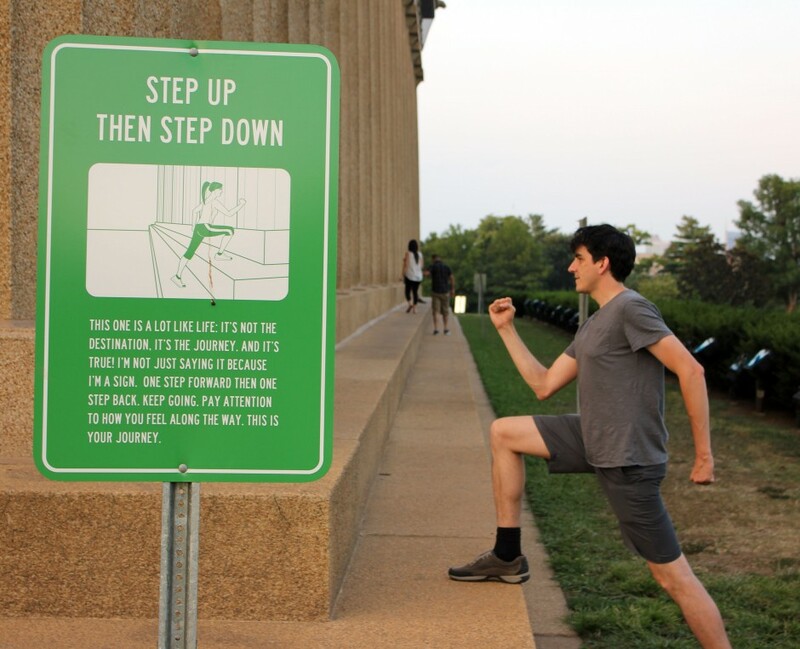 A series of signs inviting visitors at the Parthenon Museum in Nashville, TN to playfully engage with the architecture of the building. 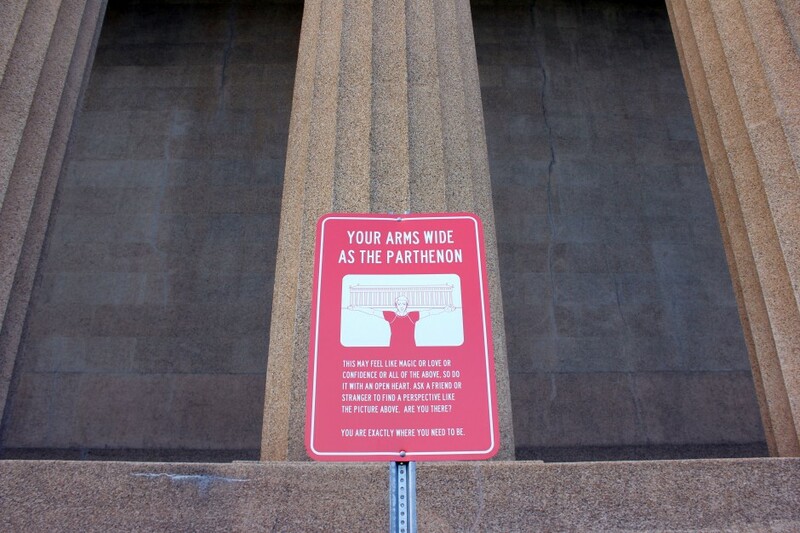 The project was commissioned by the Parthenon Museum for Flex It! 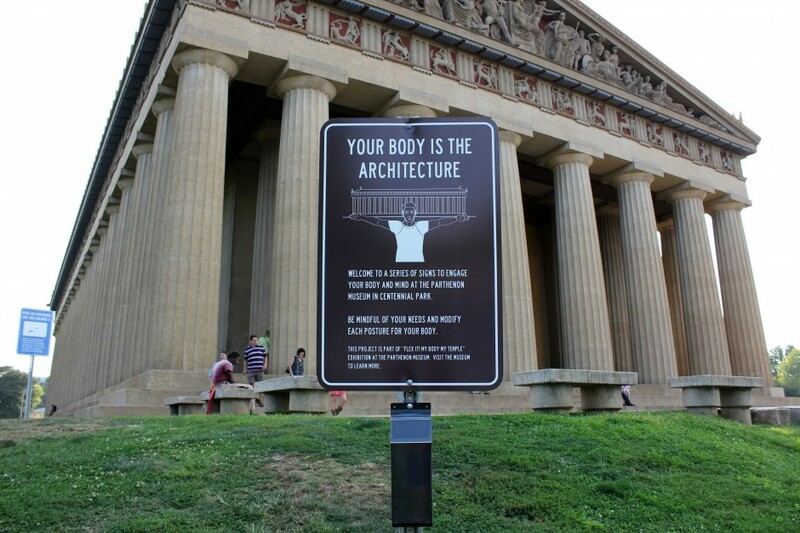 My Body My Temple, curated by Adrienne Outlaw and Susan Shockley.